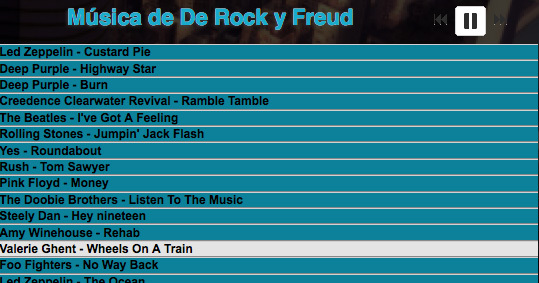 Wonderful news: Argentina radio station De Rock Y Freud is featuring my music on their weekly radio show for the entire year of 2015! They call it “Val’s Corner”, and play my music in every show! Previous featured artists include Frank Zappa in 2013, and Foo Fighters in 2014 – am humbled & honored to be in such great company. The radio show airs live on Saturdays from 7pm-9pm EST (8pm-10pm Argentina time) and you can listen to the shows afterwards on their website, shows are archived! My heartfelt thanks to Claudio, Maria and Toli for their support and encouragement, what a joy to meet such generous, warm people who love music so much! I’m so grateful to them for bringing my music to listeners in Argentina – it’s like they’re bringing me there in person! Can’t wait to visit and tour! The power of music…bringing us closer together, all around the world!